In an effort to be proactive and better prepared, I wanted to reach out and communicate the actions and procedures we use at Westville School District to establish and maintain safe and secure schools. Emergency Plans and Drills – All of our schools have emergency plans that are discussed several times per year. These plans are not publicly posted or shared on our website. Drills are completed multiple times per year. The drills include evacuations such as fire drills, disaster drills in the case of a tornado or bad weather, and intruder drills. 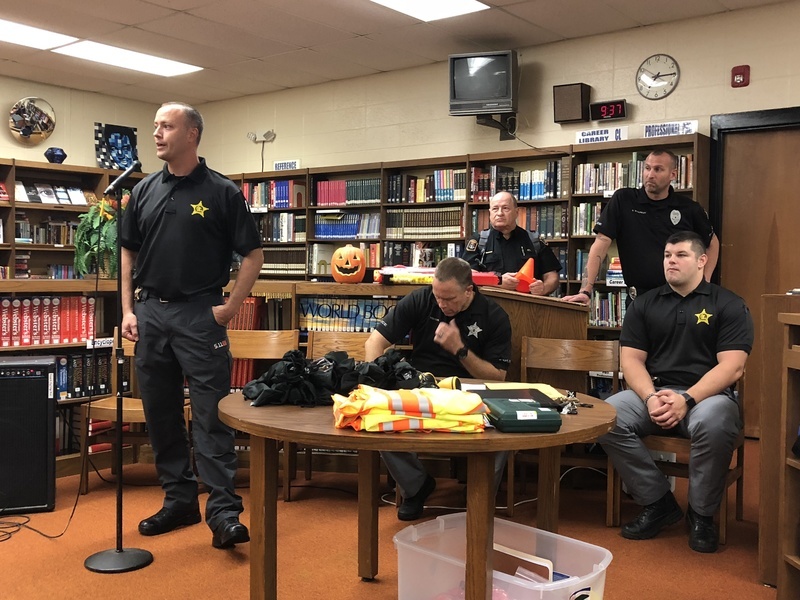 Our staff has received training by the Westville Police Department, Vermillion County Sheriff’s Department, and the Illinois State Police based on the ALICE method (Run, Hide, or Fight) for a hostile intruder response. 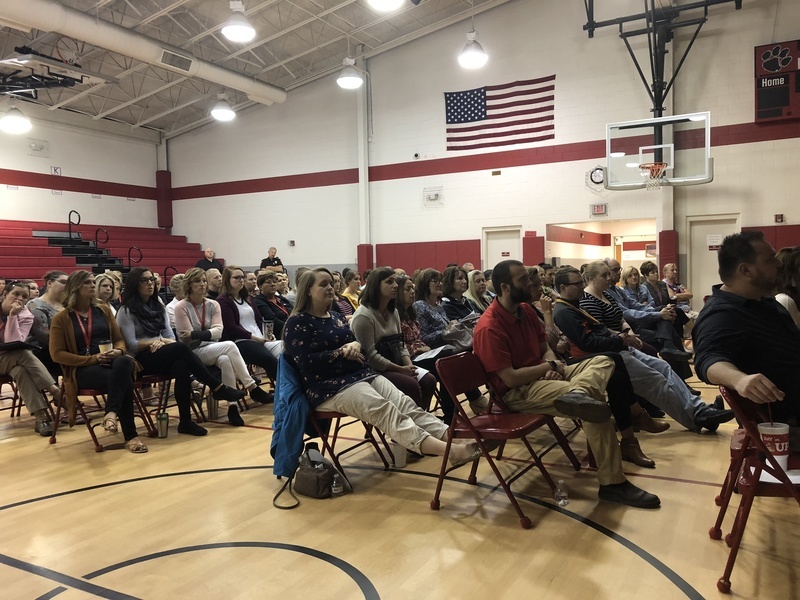 As a district we most recently trained in each of our school buildings on these scenarios on our Teachers Institute Day October 5, as well as a Shelter In Place Drill with students on October 11 that addressed internal threats. In addition to these hands-on trainings all of our district employees have been certified with the ALICE online training. This provides our adult staff with multiple response options based on any specific situation. School Safety Improvements – Over the course of this past summer we have made and are continuing to make structural improvements to the security at each of our schools. We are in the process of installing a keyless fob entry at each school campus to better limit access to each school. We have connected each classroom and district phone with clearly marked ALL-CALL pages that allow for immediate access to the building announcement system. This functionality will allow for individuals to communicate quick, real-time information to the entire building in the event of an emergency. We have also updated the exterior lighting at Giacoma and WHS to provide better supervision and visibility during after hour school events. In addition to these improvements, the district also has buzz-in systems in all of our schools. Visitors to school must use the front door during school hours. All other doors are locked and closed during the school day. Security cameras are in operation in all of our schools. We have an emergency mass communication system that allows for email, texting, and social media notifications accessible to administrative staff on their cell phone. We have hard line telephones capable of direct communication with 911 in every school office and classroom. Law enforcement officials have building maps that include every door and classroom in our district. Social Media and Threats – The district takes all threats seriously and investigates them (in consultation with local authorities when needed) to determine the nature and credibility. District administrators have put in training this past June on Digital Threat Assessment to better understand how to ascertain the nature of cyber security. Students are instructed on internet safety in our schools and reminded to “think before you post” on social media. Our schools promote a school culture that addresses the need to identify and eliminate instances of bullying. 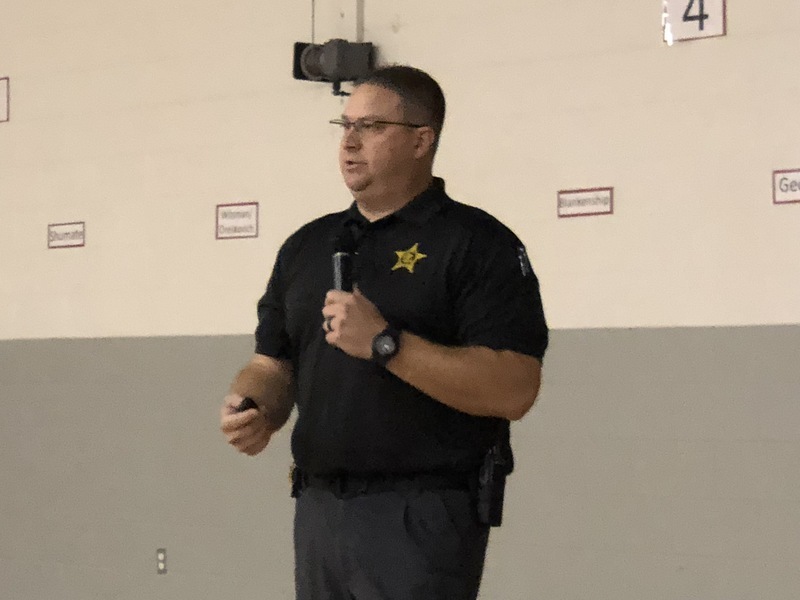 Likewise, our schools promote a culture where every stakeholder understands that it is important to “say something if you see something.” Every stakeholder has a part to play in promoting safety in schools – we are all in this together. Students making threats will face disciplinary action not limited to, but including removal from school and/or referral to law enforcement agencies. Gun-Free Zone – By law, schools are gun-free zones, meaning that it is against the law to carry guns on school grounds or into our schools except as authorized for law enforcement officers. School policy also prohibits BB guns, airsoft guns, paintball guns, and toy guns from being brought to school as they are in some instances difficult to distinguish from real guns. Violations of gun laws and school policies will cause students to face disciplinary action including referral to law enforcement agents. Student Mental Health and Well-Being – Our teachers, staff, and administrators are concerned about the well-being of every student in our schools. This past May Westville administrators and a team of counselors and social workers attended Mental Health First Aid Training that was provided by the Vermilion County Health Department. We encourage students to become engaged in school each day, and we strive for them to have a connection with someone either inside or outside the classroom. This connection could be a fellow student or teacher, an aide, secretary, coach, administrator, custodian, or cook. Each school has social workers, guidance counselors, and administrators available to work with students who appear to be having difficulty. If you are a student, or you know a student who needs assistance please contact any administrator at any of our schools. Future Plans for School Safety – Working to ensure a safe school environment is a continuous process. The district leadership team annually evaluates our Emergency Operations Plan. This review incorporates an administrative review conducted in coordination with local law enforcement with local authorities. 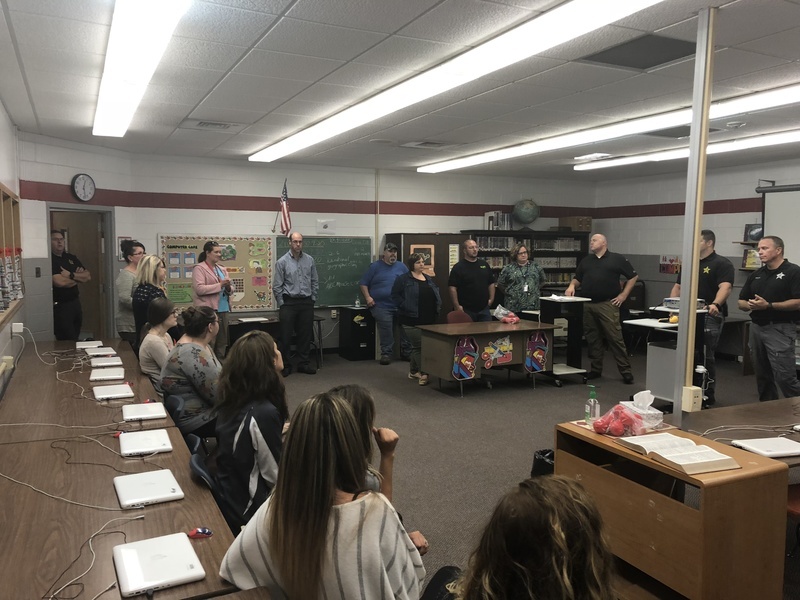 A “Stop the Bleed” training along with “Hands Only CPR” and an AED refresher training was also recently provided to all staff by Carle medical professionals on the October 5th teachers workshop day. All of us at Westville School District play a vital role in staying vigilant, being aware, and reporting concerns to the proper authorities. The purpose of this letter is to help reassure our school community of the measures that are in place and district plans moving forward. We know as members of our school community that you share in our concern and focus for safety and security.